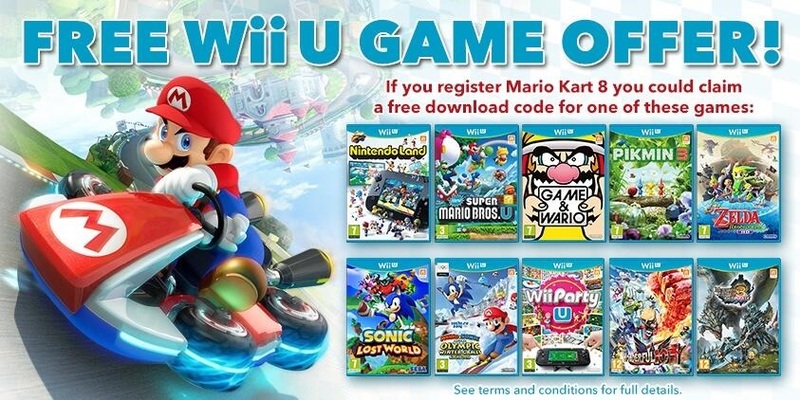 For the first time in HD, Nintendo’s Mario Kart franchise comes to the Wii U console, introducing new racing circuit designs and antigravity karts that will have players driving upside down. Players will also enjoy a variety of series-favorite features, including the return of 12-player online competitive play, hang-gliders, underwater racing and motorbikes. The new antigravity feature allows for never-imagined racing circuit designs. Players will speed through courses and find themselves suddenly racing on walls in a haunted mansion or upside-down over Princess Peach’s Castle as their wheels automatically rotate and shift into antigravity gear. Mario Kart TV lets players share highlight videos they submitted to Miiverse. Experience a wealth of features that span the series, including 12-player online competitive play. Elements first introduced in Mario Kart 7, such as hang gliders and underwater racing, along with elements introduced in Mario Kart Wii, such as motorbikes and performing tricks in midair, also make their return.